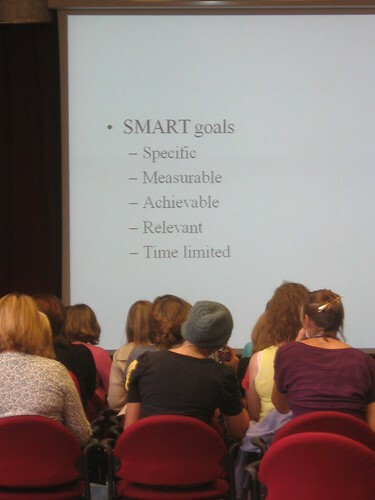 Agile KM from ‘SMART goals’ to ‘practice SMARTS’ | Agile KM for me… and you? The game of knowledge management has changed. Instead, KM now has to be agile – not like a prescribed Agile / Scrum / Kanban kind of way (though each methodology has useful ideas). No, it’s about being generally agile, a combination of resilient and innovative, ever-adaptive, embracing perpetual beta as Harold Jarche would put it. It’s about being smart, individually, and smarter, collectively – or smartest as we develop healthy human systems. Speedy is because we need to react quickly. Agile KM for collective SMARTS is about turning things around quickly, fast iterations, fast failure, fast improvement, reacting on the dot, not letting information go through the endless tunnels of polishing and editing to publishing perfection… It’s about quick & dirty for faster and stronger feedback loops and acting upon the opportunities right at the moment when they present themselves. Multi-purpose because agile KM (and innovation) is not about reinventing the wheel – despite its occasional usefulness – but about applying and recombining existing bits. Reformatting for different channels (PC, mobile, tablets); versioning for different audiences based on the same raw information. And with multi-purpose comes multi-perspectives, the multiple knowledges that matter when dealing with complex problems as IKM-Emergent pointed out. Anticipating change is the name of the game. Always being on the lookout for what is going to affect you next, what is going to create tradeoffs. Individually we must be aspirational in our decision to move somewhere, towards a certain direction and objective, and develop our pathway to get there. Collectively we must be inspirational for each other, modeling useful positive deviance and visioning a common future that looks brighter than the here and now. But remaining realistic as to where on our journey we are, and what obstacles lie ahead on the way. Anticipating is about visioning that pathway for a positive change, at all times. Being Trustworthy is an imperative in our individual quest to becoming ever better networked. Trust is the currency of the social age. How do you generate trust? Dave Pollard suggests it is developed at the junction of positive chemical/sensory signals, shared/appreciated world views and positive collaborative experiences. In the social SMARTS age, trust also happens through consistency, quality (of the stuff we develop or share) and authenticity. Sharing and showing this approach with/to others is the final stage to make sure we are not just SMART ourselves, individually, but we develop our collective SMARTS as these human systems we hope to improve together – because we care. We are eminently social but that social nature still requires active, a sense of purpose, consistency and working on changing our habits and behaviour, so we don’t revel in the happy square of wishful thinkers – for others (I want YOU to change). And building habits together is easier, as every fitness starter knows. Our habits can start there. As IBM would put it: let’s build a smarter planet together… also through agile KM practice SMARTS. This entry was posted in Change process, Learning, Shoot post and tagged agile, Multi-purpose, reflective, SMART, speedy, trust, trustworthy by Ewen Le Borgne. Bookmark the permalink. Now the question is: what are the questions that help the people running the timer consider it differently? And what are the signals we should get our third eye attuned to in order to detect early warning signals that something is not quite going ‘according to plan’ as it mostly is? Nice post. 🙂 These days I reflect a lot about time and that is also a major point I do not like about smart goals. How long do you know will it really takes? What is now important might be not so important half the way through (Yes, Reflecting!!) I caught myself too often lately where I was running behind a self set deadline, which did not really need a time dimension. Particular project and bigger tasks/milestones need time and can’t be easily set to a date. Maybe one reason why so many project deadline never make it to the point. So I would not call it speedy. Isn’t it about being brave and test it early, release unfinished etc. ?